Size: 86 x 62 x 110 Cm Ht. We are the leading supplier and exporter of 18 Pocket Fashion Lounge that comes with 2 air chambers for extra safety & coil beam construction with I beam pillow. 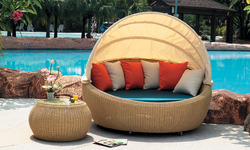 It can be used as a pool float or pool side lounge. By keeping track with the modern trends, we are bringing forward a wide series of Swimming Pool Lounge Chair to our valued patrons. 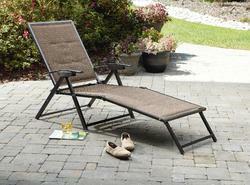 - Most suited for outdoor spaces. - With an elegant curved design it is comfortable as well as aesthetically pleasing. - With UV and corrosion resistant material, this hand-crafted lounge chair is a must for your home.